In Sindh, the summer is hotter than usual. The heat generated after the sudden appearance of wall chalking and hoardings on the streets of Karachi and Hyderabad — demanding a Mohajir province — is rising. In March-April this year, a number of provincial assembly members, particularly female MPAs of Pakistan People’s Party, informed the Sindh chief minister about letters of threat, asking them to leave Karachi or face dire consequences. The letters were allegedly dispatched by an unknown organisation called Mohajir Suba Tehreek. 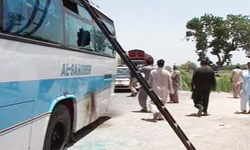 On May 25, nine people were killed and over 30 wounded in the Nawabshah district in Sindh when unidentified gunmen opened fire on a Swabi-bound bus travelling from Karachi. According to witnesses, the gunmen shouted that they had avenged the May 22 attack on the Awami Tehreek (AT) rally in Karachi while some assailants said that they had avenged the May 22 killing of Muzaffer Bhutto, secretary general of the Jeay Sindh Muttahida Mahaz (JSMM). Twelve people were killed and more than 30 wounded in an armed attack on ‘Love Sindh Rally’, organised by the AT and backed by the Pakistan Muslim League-Nawaz, the People’s Aman Committee, the Awami National Party and other Sindhi nationalist groups, in protest against the proposed Mohajir province. Baara Tehni is a board game for two that requires neither a board nor accessories and props. All you need is someone to play with. Both squat on the ground, draw an 8 by 8 square with a sharp-edged stone, gather 12 pebbles and 12 pieces of twigs — hence the name ‘twelve twigs’ — and the game is on. To an untrained brain, it seems easy, too easy perhaps. All you need to do is keep moving your pieces forward, because you can’t move them back. A lot of them get killed, and a few manage to get to the other end, and become kings. They can now move in any direction hunting the opposition. The side that loses all pieces, loses the game. Simple. Which is why they call it dumb man’s chess. The participants of two grand jirgas held in May in Peshawar were unanimous — that the Fata must be pulled out of the current crisis. 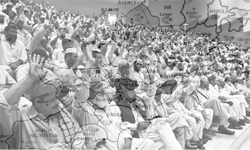 The first jirga, organised by the Fata Grand Alliance in mid-May, demanded that the tribal areas be declared a separate province, and that the passage of a bill by the Khyber-Pakhtunkhwa Assembly to seek merger of the Fata with KP is a conspiracy to take control of its resources. The moot termed the passage of the bill a step towards the creation of Greater Pakhtunistan by the ruling Awami National Party (ANP). Senator Mian Raza Rabbani was the chairperson of the special Parliamentary Committee on Constitutional Reform (PCCR) which deliberated the urgently required devolution of powers along with certain other institutional changes. 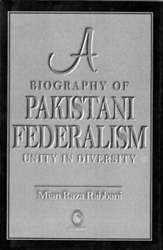 In the passage of the famous 18th Amendment, Rabbani’s contribution to the development of federalism in Pakistan is unmatched and the book “A Biography of Pakistani Federalism: Unity in Diversity” only reaffirms his commitment to federalism and provincial autonomy as well as to the diversity of the various peoples of Pakistan. 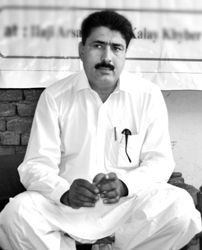 Three weeks after the killing of Osama bin Laden on May 2, 2011, the embarrassed Pakistani intelligence agencies picked up 48-year-old Dr Shakil Afridi for, assumingly, helping Central Investigation Agency in getting close to OBL through some planned vaccination campaigns. Dr Afridi, now sentenced for 33 years for helping certain militant groups a few years ago, remained “missing” since May 23, 2011. The government and agencies neither announced his detention nor charged him with anything. The Sindh government addressed the matter casually; it directed the police to investigate the matter and identify the culprits. But before the police could get cracking, the Mohajir province movement intensified. It surfaced on the roads with a small but a well-organised demonstration in front of the Karachi Press Club. Banners and placards demanded a separate province for Mohajirs. Yet, the government of Sindh and Karachi administration remained a silent spectator. The demonstration was followed by another bigger show of strength on May 16 — this time by women, and despite the administration’s efforts to stop it, entered metropolitan’s red zone. These public-mobilised activities were followed by a press conference by leaders of the so-called Mohajir Suba Tehreek in which they demanded a separate province for Mohajirs and explained reasons for such a demand. According to them, the Urdu speaking Mohajirs are discriminated against in government jobs and in holding top public slots. In the next few days, Karachi’s thoroughfares, particularly located in Urdu speaking areas, were flooded with huge billboards, banners and wall chalking demanding division of Sindh. The Sindh map was shown divided into two pieces. Similarly, in the USA some former parliamentarians of the MQM held a press conference and demanded formation of a Southern Sindh province. Their demand was the same as the Mohajir Suba Tehreek, but they avoided using the word Mohajir. The PPP was hesitant to take any position and avoided asking the coalition partner, the MQM, to clarify its position. A heated debate on if the coalition partner was behind such demands continued both in social circles and media, generating anger in the interior of Sindh. The condemnation came from every quarter of the province, and the Sindh government was criticised for inaction — its inability to remove the wall chalking — yet no incident of violence was reported till May 22, 2012. It was on May 22 when a “Sindh lovers” rally, jointly organised by the Awami Tehreek of veteran Sindhi nationalist leader Rasool Bux Palijo and People’s Aman Committee Lyari, met an unfortunate fate. Though the government had already made all possible arrangements, including putting containers to block roads to stop the rally from reaching its concluding point, Karachi Press Club, private gunmen were also on the roads to block the way of the rally. The rally had hardly moved a few kilometres from Lyari’s Cheel Chowk when it came under fire near Paan Mandi. A group of gunmen directly fired on the rally killing over a dozen of people on the spot, including two women activists. The police and other law enforcement agencies were absent from the scene as usual. Obviously, those who attacked the rally and targeted the people of a specific ethnic group wanted bloodshed as a reaction and counter reaction has been a common practice in such matters in the past. 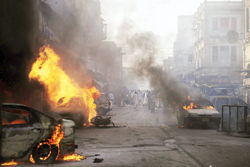 Those who have witnessed ethnic riots in Sindh feared the worst. Yet, the people of Sindh showed maturity and did not react violently. A day of mourning or strike was observed throughout the province. Those who keep a close eye on the situation in Sindh say the conflict emanating from the movement for Mohajir Suba has a potential of escalating into a civil war-like situation in Sindh. “It is high time all of us intervened, otherwise the situation may go out of hands,” suggest Jami Chandio, director of Centre for Peace and Civil Society (CPCS), a Hyderabad-based think tank. “If activities of Mohajir Suba Tehreek are not curtailed and incidents such as attack on peaceful rallies are repeated, you may see a civil war in Sindh,” he feared. Though media reports and some programmes on TV channels have attempted to link the demand of Mohajir province to the creation of Seraiki province in Punjab, even Urdu speaking intellectuals have rejected such a demand. Sindh Solidarity Conference hosted by Sindh United Party and attended by all mainstream and nationalist political parties on May 30 unanimously adopted a resolution against any division of Sindh. The PPP and the MQM, two coalition partners in the government, were not invited to the conference. A three-member parliamentary committee, constituted by the President and headed by Makhdoom Amin Fahim, has also completed a series of consultations in Sindh and declared that no political party, including the MQM, wants division of Sindh. All these expressions of solidarity and assurances may bring the volatile atmosphere to a halt. There is a need of proactive action instead of a lame action and expressions of solidarity after many lives have already been lost. The power game and battle for controlling Karachi also need a permanent solution as many see this Mohajir Suba Tehreek activities a pressure tactic to keep the control over Karachi intact. However, Sindh’s nationalist parties have condemned the assault and termed it a conspiracy to sabotage their peaceful struggle against the ‘division of Sindh province’ and a bid to fuel ethnic hatred in the province. “The attack was an attempt to overshadow the May 22 carnage in Karachi,” said Ayaz Latif Palijo, head of the AT, alleging that the perpetrators of the bus attack were the same who had orchestrated the recent killings in Karachi. “We, the Sindhis, believe in political and democratic struggle and the bus attack was a conspiracy to fuel ethnic violence in the province,” Palijo said, adding that false messages were spread by a Karachi-based ethno-political party through SMS, Twitter and Facebook that Urdu speaking or Mohajirs were targeted in the bus attack, whereas all the deceased belonged to Khyber-Pakhtunkhwa and Punjab. No group has claimed responsibility for the attack, but the police have blamed the Sindhu Desh Liberation Army (SDLA), a banned separatist group. “We have found pamphlets of the SDLA at the crime scene in which it claimed responsibility for the killings,” said Sardar Khan Chandio, a local senior police official. A journalist, who had visited the crime scene, said that the blood-soaked pamphlets found at the place carried the names of Muzaffer Bhutto and other JSMM leaders who have died either in custody or under mysterious circumstances. “Similar pamphlets had been found after explosions on railway tracks and outside National Bank branches in the Nawabshah district,” Chandio said. At least 16 blasts occurred at railway tracks at different locations in Sindh on Feb 25 that completely suspended the railway traffic. In the pamphlets, the SDLA’s chief commander, Darya Khan Marri, denounced atrocities against the Sindhi people and vowed to continue struggle until Sindh gains ‘freedom’. He requested the Sindhis to take up arms and join the movement for independent state of Sindh. The pamphlets found from the bus read: “Now we will no longer keep receiving the bodies of Sindhi nationalist leaders. I accept responsibility for today’s attack. I tell all the migrants in Sindh, especially Punjabis, that if they wish well for their families and property, they should leave Sindh”. Some political circles insist that recent subversive activities in the province show that the Sindh separatists have also started their own struggle for the separation of province from Pakistan, taking strength and inspiration from the Baloch insurgent movement. However, Sindh’s political analysts and leaders are of the view that Sindhi separatist groups have never been popular in the province. The demand for the separation of Sindh province from Pakistan has been raised time and again, but the separatist movement has not posed a serious threat to the state of Pakistan, political analysts believe. Low-scale insurgent attacks from the SDLA have been reported intermittently in recent years. The SDLA, an underground Sindhi separatist organisation, is an offshoot of JSMM (Jeay Sindh Muttahida Mahaz), a Sindhi nationalist political party, headed by Shafi Muhammad Burfat. The SDLA comprises members that broke away from various factions of the Jeay Sindh Tehreek (JST), founded by a prominent Sindhi nationalist leader G.M. Syed. The government has banned the SDLA for its terrorist activities. The Crime Investigation Department (CID) of Sindh police has formally included the name of Burfat in its Red Book, according to media reports. Although there are more than a dozen nationalist parties in Sindh, Burfat-led JSSM is the only nationalist group which believes in militant activities. Burfat belongs to Taluka Sehwan, District Jamshoro, and remained a close associate of Dr Qadir Magsi in the late 80s and early 90s. He was also co-accused in the infamous September 30, 1988 carnage. He had left the JST as his aim was to agitate for the rights of the Sindhi through “guerrilla warfare”. But leaders of the party disown the attacks and even any affiliation with the SDLA. “Unlike other Sindhi nationalist parties, the JSMM is now in very close relationship with the Muttahida Qaumi Movement (MQM),” Mugheri said. The JSMM leadership blamed Pakistan’s intelligence agencies for targeting their leaders and activists only because they struggle for their fundamental and political rights. “Many of the JSMM’s workers have been kidnapped several months ago while recently the bullet-riddled body of the party’s central secretary general Muzaffer Bhutto, who went missing on Feb 24, 2011, was found at roadside in Hyderabad on May 22,” said Iqbal Morai, a JSMM leader. Muzaffer Bhutto was kept in detention for 18 months, her wife Saima Bhutto had told this scribe on Feb 25, adding that he was tortured to the extent that his backbone was damaged. He was implicated in several bomb blast cases but was later acquitted, she had said. Morai alleged that the JSMM’s vice-chairman Serai Qurban Khuhawar, leader Rooplo Choliani and central committee member Noorullah Tunio were killed in district Sanghar on April 21, 2011 by the security agencies. Muzaffer’s brother Mumtaz Bhutto was also killed almost one and a half years ago in an explosion in Hyderabad. The SDLA had emerged as a serious threat when they bombed rail tracks in different districts of Sindh in February last year and an alleged terrorist lost his life on March 2 while planting a bomb at a railway track located in Jumma Goth in Karachi, said a CID official. Similarly, the law enforcement agencies had recovered the same literature of the SDLA after a blast that occurred accidentally on March 7, 2011 in a house at Ibrahim Haideri limits where the SDLA-linked militant Zulfiqar Kulachi was killed while two others — Ismail Abubakar and Sardaruddin Allah Dino — were injured. “After the death of Kulachi and crackdown by law enforcement agencies in the light of information received during interrogations of Abubakar and Allah Dino, the network of SDLA was shattered. But after a year, a series of rail track blasts and firing on the bus show that the group has again become active in the province, especially after getting encouragement from Baloch separatist organisations,” CID officials think. In the wake of recent attacks on the AT’s rally in Karachi and passenger bus in Nawabshah, the law enforcement agencies have launched a crackdown against the supporters of various nationalist parties. The crackdown has not been limited to Nawabshah district as law enforcement agencies also raided Thatta, Badin, Tando Muhammad Khan, Mirpurkhas, Dadu, Sukkur. Reportedly, more than 50 workers of the JSMM, late Bashir Qureshi-led Jeays Sindh Qaumi Mahaz and Magsi-led Sindh Tarraqi Pasand Party (STPP) have been detained. But it’s usually the bad chess players who say that. Both games require the ability to strategise, to predict and anticipate the opponent. Distinguished players are either good at computing possible moves, or are good at ‘sensing’ the danger and opportunity. Champions can belong to either group, in both the games. And neither is dumber than the other. Baara Tehni is no more a third world game either. They are playing it in British pubs and calling it ‘draughts’, they are at it in American bars and calling it ‘checkers’ and the largest number of them is playing it online, without caring what to call it and without knowing what language the other player speaks. Computer and internet has enabled a squatter in Narowal to play against a Nasa scientist without the two ever getting to know each other. But going by the quality of players one encounters on popular Internet Checkers websites, it’s fair to assume there aren’t many scientists among them. To begin with, they find it hard to choose the level of their expertise and so anyone who can handle a mouse is found roaming in the ‘intermediate’ level and someone who has learnt to move their pieces becomes an ‘expert’. A majority of them couldn’t even be broadly categorised as half decent human beings, which is probably why they are the only online gamers not allowed to chat freely. Instead, they are given a set of words to choose from a drop-down list: Uh oh, Oops, Ouch, Nice try, Yes, No … The limited expressions to pick from, and the banality of their sound speaks for the kind of people, the checkers players are taken to be. But that doesn’t deter many from trying to have a conversation, and taking it seriously. ‘Hello’ says your opponent. You ignore the chat and make your move. No response. You wait, and then wait some more, until you realise the other person is sulking. You then reply with ‘Hello’ or ‘Good luck’ and the game resumes. Or you make a brilliant move that forces the opponent to throw in the towel, but while they are contemplating whether or not to press the ‘resign’ button, they’ll send a ‘Nice try’ your way. If you do not answer with a ‘Thank you’ they’ll take you for an ungrateful punk and will hold the game up long enough for you to get bored and forfeit a winning board. There are losers out there who hate losing a game. So when defeat becomes inevitable they say ‘Be right back’ and disappear for ever, or ‘Sorry I have to go now’. But they are not gone, they are just waiting for you to leave the game, so they can take the undeserved win. That’s how the online version works: whoever leaves the game, or gets disconnected, loses. Occasionally, the loser also happens to be a computer geek, in which case they enlist technology to make up for what they lack in skill. So you have a tough game in which you finally start to prevail. 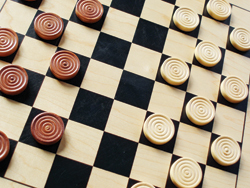 You make your winning move and wait for the opponent to resign. But there’s a lull on the other side. ‘You can’t think your way out of this buster. Give up,’ you say aloud triumphantly, patting your own back. A bill in the Khyber-Pakhtunkhwa Assembly recently sought the merger of the seven tribal agencies and six Frontier Regions of the Fata with the province so the tribal areas can be governed effectively. There is feeling that the current status of the Fata is one of the major reasons for its basic problems, including illiteracy, terrorism and lack of basic facilities. The Political Parties Act was extended to the tribal areas only recently. The administrative control of the Fata rests with the federal government while the KP government posts tribal bureaucrats. The complex structure of the administration is apparent from the fact that provincial commissioners head the political agents who are not the employees of the province. The provincial home secretary also looks after the affairs of the Fata though the Fata Secretariat has its own secretary security. Most of the areas in the Fata lack educational and health facilities, development infrastructure, means of communication, clean water and the right to elect their leaders. The Fata has MNAs and senators elected from the areas, but there is no provincial assembly nor there is a proper structure of local bodies governments like other parts of the country. The chief executive of the Fata, the Governor Khyber-Pakhtunkhwa, sits in Peshawar and also looks after the affairs of the Khyber-Pakhtunkhwa province. Besides, not only the civil secretariat for the Fata is located in Peshawar but the political agents of almost all the tribal agencies have their offices in the settled districts, out of their area of jurisdiction. During the tribal jirga held in Peshawar, a number of incumbent and former parliamentarians, chieftains and elders, including Hamidullah Jan, Senator Haji Khan, Senator Hilal Rehman, Malik Rasheed Ahmad, Zafar Baig Betani, Ayaz Wazir, Gohar Ali Afridi and Brig (retd) Said Nazeer, stressed for a solution to all the miseries of the tribesmen and to bring it at par with the settled districts of the country. The speakers complained that the people of the Fata were used against Soviet Union, British India and America. They said they are still being used and the rulers of Pakistan have deprived the brave and patriotic tribal people of their fundamental human rights. They stressed for preserving the culture of tribal people, the independent status for the area and revival of the jirga system. The demands by the jirga included introducing the local government system, establishment of the Fata Council and a separate judicial system. Apart from corruption, the jirga said the presence of non-tribesmen in the tribal bureaucracy is one of the reasons the government departments have failed to find any solution to the problems being faced by the Fata. The establishment of an industrial zone in the Fata, a new economic system and end to drone attacks and military operations in the tribal areas was also part of the demands made by the jirga. The senior Pakhtun nationalist, Afzal Khan Lala, called another jirga in Peshawar, inviting people not only from KP and the Fata but from Afghanistan, Balochistan and the rest of the world. The two-day moot was held on May 29-30 at Nishtar Hall. The Pakhtun intelligentsia from all over the world participated in the moot and stressed for joint efforts to end the so-called war on terror being fought on their soil. “The event was organised for the noble cause of uniting Pakhtuns to find a solution to their problems,” said Afzal Khan. Apart from senior leadership of the Awami National Party, the Pakistan People’s Party, the Pakistan Muslim League-Nawaz, the Pakhtunkhwa Milli Awami Party, the Jamat-e-Islami, the Jamiat Ulema-e-Islam, the Pakistan Muslim League-Quaid, hundreds of intellectuals, policy makers, members of think tanks, lawyers and people from different walks of life attended the jirga. The Pakistan Tehrik-e-Insaf and the Pakistan People’s Party-Sherpao did not attend the jirga. Chief Minister Ameer Haider Hoti, addressing the jirga, said there would be different approaches of different political groups towards the issue but they want all the political forces to unite to find a solution to the miseries of the Pakhtun nation. He supported reforms in the tribal areas to end their deprivation but stressed the reforms should be made only as per the wishes of the tribesmen. “For a permanent end to the troubles of Pakhtuns in Pakistan and Afghanistan, not only the governments but the people of the two countries need to play an important role,” Hoti told the jirga. The leaders of other political parties lauded the initiative taken by Afzal Khan Lala, saying it will prove to be a milestone in finding a solution to the longstanding issues faced by the Pakhtun nation. “Despite being a peaceful nation, Pakhtuns and Afghans always remained victims of foreign conspiracies. This is not for the last few decades but for the last hundreds of years,” said Mian Iftikhar Hussain, the KP Information Minister, informing the jirga that the recent wave of terrorism has claimed the lives of over 750 staunch workers and office-bearers of the ANP alone. Tribesmen attending the jirga hoped the meeting would be helpful in finding a solution to the tribal problems. “The tribesmen have suffered a lot due to everyday bombings, suicide attacks, military operations and other developments in the region for the last many years. Such events can bring the people of the tribal areas into the mainstream by introducing reforms,” said Ilyas Afridi, a tribesman from Khyber Agency. A major portion of the book is allocated to the impact of the 18th Amendment and its sequel in the form of 19th Amendment on the constitution but it also discusses the contours and history of evolution of federalism in Pakistan. While tracing the roots of federalism in pre-partition India, the author suggests that Muslim struggle to assert their rights and later for a separate state might have been an important factor in introducing constitutional federalism in India. While one may not necessarily entirely agree with his view of pre-partition Hindu-Muslim politics, he convincingly argues that Quaid-i-Azam Mohammad Ali Jinnah wanted a federal state for a long time. The first two points included in his 1929 constitutional formula (popularly known as “the 14 points”) for resolving differences between the two communities prescribed that “the form of the future constitution should be federal with the residuary powers vested in the provinces”, and that “A uniform measure of autonomy shall be granted to all provinces”. (Pages 25, 33). The author argues that the Muslim leaders of united India wanted a federal form of state. And though the Lahore Resolution of 1940 categorically rejected the Government of India Act, 1935, as a solution to communal problems of India, the author traces the roots of federalism in the united India to the 1935 Act which he sees as the first step toward federalism in India. This may sound convincing as the 1935 Act for the first time introduced an All-India Federation and granted some autonomy to the constituent units. In order to support his assertion, the author further refers to that part of the Lahore Resolution where it declares that the answer to the constitutional crisis lay in grouping together Muslim majority areas “to constitute independent States in which the constituent units shall be autonomous and sovereign”. This is an apt rejoinder to the oft-repeated argument against decentralisation, devolution, and provincial autonomy that since Pakistan was created as an Islamic state, there could be only one centre of power and all centrifugal forces had to be crushed. In fact, it won’t be wrong to argue that for over six decades the politics of Pakistan has revolved around the federal question. The anti-democratic forces favoured a state where the provinces had little autonomy. Any scheme that could prevent the state from becoming a democratic federation constituting autonomous units was tried. The abolition of provinces in the western part of the original state and creation of one unit in 1955, the imposition of martial laws, and the state’s antagonistic role against the most populous province i.e. East Bengal, and later against the least populous province, Balochistan. The 1973 constitution for the first time moved away from the Government of India Act and clearly recognised Pakistan as a federation in its substantive part. The 1973 constitution was accepted by the less populous provinces, partly because it accommodated them somewhat better than the 1956 constitution and partly because it was offered as a precursor to the grant of more autonomy. However, first lack of political maturity and then martial laws came in the way. The 18th Amendment has introduced over 100 changes to the constitution, with the biggest impact being on the relations between the federation and provinces. The 18th Amendment not only meets the federating units’ demand for abolition of the Concurrent Legislative List, it also allows the units some say in respect of a few matters that have so far been in the Federal List; for instance, census, major ports, use of the police force belonging to one province in another province and duty on property. The change proposed in Article 172 makes the federating units joint and co-equal owners with the federal government of mineral, oil and gas within the provinces or the territorial waters adjacent thereto. Previously, the ownership of these resources vested in the federal government alone. The story of the 18th Amendment and its sequel in the form of 19th Amendment is a story of the art of the possible: political compromises and accommodation; not only with political opponents but also toward institutional opposition within the state structure even when the ideological make-up of personalities dictated otherwise. The adoption of the 18th Amendment in 2010 by all shades of opinion in the parliament was nothing short of a miracle. It not only marks a giant stride towards realising the promise of the 1973 constitution, in several respects, it surpasses the 1973 consensus. Senator Rabbani argues that states are strengthened when they acknowledge and accept pluralism and diversity. His main contention is that in acknowledging provinces as equal partners lies the way forward for an ethnically diverse Pakistan. The fact that Pakistan is pluralistic and diverse society needs to be reflected in our constitution. The diversity of Pakistan should be seen as a source of federal strength rather than as a weakness. The Eighteenth Constitutional Amendment is only the first step toward that end. The doctor, who has become a bone of contention between Pakistan and the United States, is waiting for his fate in a risky Peshawar jail where a large number of Islamic militants are housed. These militants consider OBL a hero of Islam and a true fighter. The US has sought Dr Afridi’s release and warned Pakistan of cutting its aid if the accused is not freed, contending that he is a hero, not a traitor. Pakistan, however, views the doctor as a spy. Many experts believe Dr Afridi’s sentence, which is widely condemned by the United States on various forums, is the last bargaining chip for Pakistan in the damaged bilateral relations. Adding a new twist to the episode last week, Dr Afridi has been accused of collaborating with Islamist militants. The Assistant Political Agent of Khyber Agency, under the tribal rules, has sentenced him for 33 years on charges of militancy, and not because of his role in helping the CIA trace the Al Qaeda leader and ‘conspiring’ against the state. He is accused of aiding Lashkar-e-Islam, a militant group based in the tribal region of Khyber Agency, led by Mangal Bagh. According to the verdict, Dr Afridi, once Khyber Agency’s chief surgeon, gave Lashkar-e-Islam medical and financial support and allowed the militant group’s commanders to use his offices at a Khyber hospital to plan attacks against security forces. The family of Dr Afridi, through a panel of five lawyers, has challenged the verdict before Frontier Corps Commissioner, terming it baseless. “Dr Afridi has no links with militants and his sentence is also illegal as political agent cannot award such a sentence,” Samiullah Afridi, one of the lawyers from the panel tells TNS. “Ironically, he has been accused of aiding the group of militants which kidnapped Dr Afridi for ransom and he was released after paying one million rupees for which the family took loans and his wife sold her jewellery,” his brother tells TNS. Human Rights Commission of Pakistan (HRCP) has also demanded that the doctor must get a fair trial. “The trial of Dr Afridi falls well short of the due process on many counts. The core principle of natural justice has been ignored and Dr Afridi has been denied due legal assistance,” the commission says. Born in a small village amid mango orchards in district Khanewal of south Punjab, Dr Afridi moved to Peshawar for his medical education. The village, also known as village of Pathans, houses Afridi tribe families with around 5,000 people. The village was established in 1920 after the First World War. The British rulers, later, started allotting pieces of land to its local soldiers here. His father, who died two years ago, was a former Frontier Corps solider and was allotted some land here where he started farming. Dr Afridi’s mother died three years ago. No one from his immediate family, including him and his brothers and sisters, are in America or have dual nationality. One of his uncles was also class fellow of former president of Pakistan, late Ghulam Ishaq Khan. Dr Afridi has two sons and one daughter. The eldest son, around 17, was admitted in Kohat Cedet College. Dr Afridi had been in government service since early 90s. He had served in Khyber agency as agency surgeon from 1993 and used to work with NGOs on different campaigns.